Next up on Glamour Punk, a quality Canadian collaboration featuring long time producers 8Barz, FUTR3 and Martin Villeneuve. 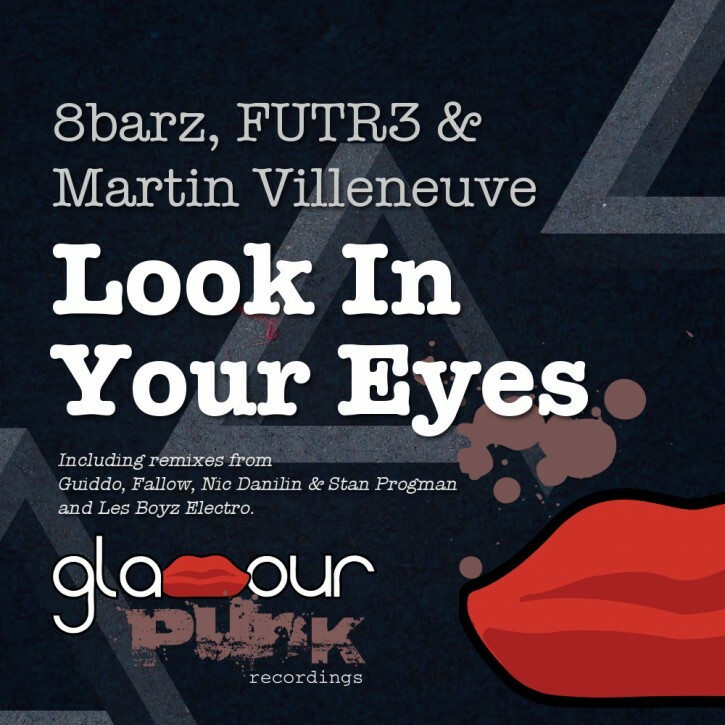 Look In Your Eyes is a huge house tune featuring a massive M1 organ b-line, old school tribal beats, and FUTR3’s infectious vocals. Balearic electronica wizard Guiddo turns in something very special indeed, hip, mellow and radio ready. Fallow digs deep with blissed out pianos, crips beats and his own take on that M1 organ riff. Glamour Punk regulars Nic Danilin & Stan Progman keeps things on the deepah tip, with subtle acid lines and synth chords weaving around the bass and vocal stylings. Last but not least Les Boyz Electro do as their name suggests and bring some melodic electro to the house.